Islamabad, February 06, 2017 (PPI-OT): Governor Sindh Muhammad Zubair has said that government is alive to the problems of business community which are being resolved on preference. 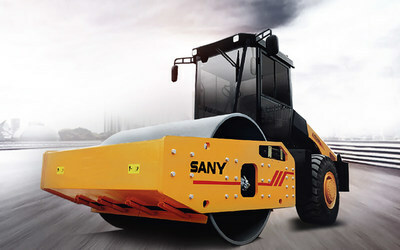 BEIJING, Feb. 6, 2017 /PRNewswire/ — SANY has recently launched the 20 ton and 22 ton hydraulic single drum rollers that give operators access to new technology and make work more efficient. President Mamnoon Hussain inaugurated the Fauji Fertilizer Power Plant with a generation capacity of 118 megawatts at Port Qasim in Karachi on Monday. Mainly cold and dry weather is expected in most parts of the country during the next 24 hours. However, light rain with snowfall over the hills is likely at isolated places of Gilgit-Baltistan. NEW YORK � Welcome, welcome welcome! reads the digital arrivals display above Terminal 4 at New York's John F. Kennedy airport.